Rugged ballistic pack cloth construction, self repairing military style zipper with locking zipper pulls, three adjustable outside covered accessory pouches, wrap and carry handles, closed cell foam padding, 2″ padded interior perimeter lip, detachable padded, adjustable shoulder harness, shoulder harness storage pocket, inside assorted accessory pockets and outside universal attachment straps. Accessories not included. Our new briefcase has it all. Made for travel with tactics in mind. In the large zippered pocket is a removable bag for your laptop with a removable shoulder strap. We’ve included an extra zippered, removable tablet pouch. The side zippered compartment is set up for all your admin needs. Behind all that is an open pouch that fits most compact and mid-sized handguns. Interior features quilted padded sides to protect your gear from bumps and scratches. The front of the briefcase has size zippered pockets for easy accessibility to the items you need most. 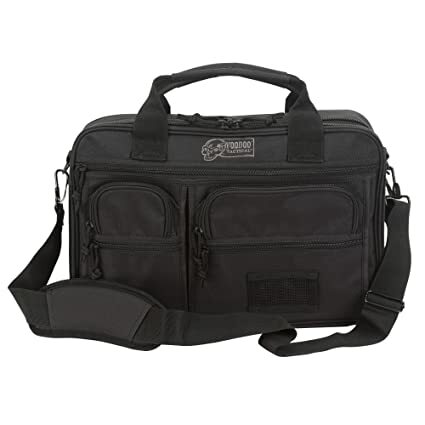 Comes with a padded adjustable shoulder strap as well as padded hand carry straps.Measures 18″L x 6″W x 12″H. Weighs 4.15 lbs. The Discreet line from Voodoo Tactical is meant to bring you the same tactical advantage in a low profile package. All Discreet items are made out of 1000D nylon Cordura fabric with advanced stitching and YKK quality zippers. The Discreet items are also all G.S.A. compliant.The new design discreet pack is compact enough to take on every trip an fully expandable to hold all your gear. The molded comfort back panel provides semi-rigid, custom fitting support for maximum performance. The adjustable, padded, contoured shoulder harness combined with the nylon adjustable waist belt insure this pack will stay with you and balance the load even in the most rugged conditions. New features include added side cinch straps and a bottom set of adjustable straps to hold your jacket or bedroll. The multiple outer pockets and pouches for organizing your personal effects. 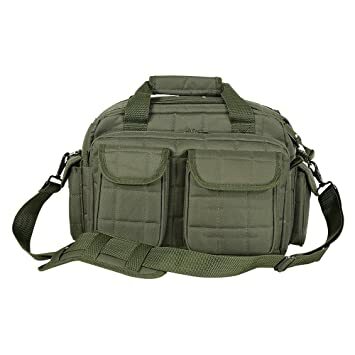 Other features include: nylon, double stitched carry handle, nylon side loops for attaching carabineers an side webbing for added pouch attachment. 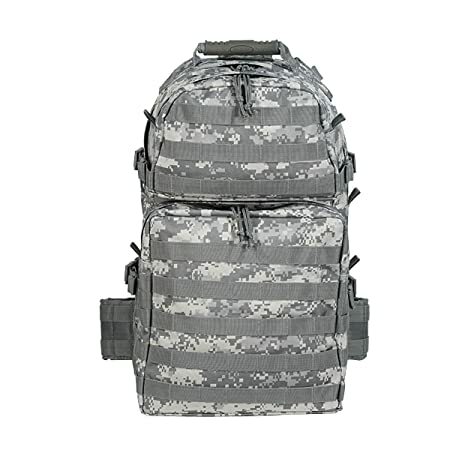 This enhanced Level III MOLLE compatible assault pack (18″h x 10″w x 10″d) is perfect when you don’t want to lug around a full three-day assault pack. With less than half the cubic inches of our larger assault pack, you will find it is the perfect size for when you want to travel light, such as a one-day or overnight excursion. Thanks to the many MOLLE compatible attachment points (PALs) you can add additional MOLLE, ALICE or similar pouches if more carrying capacity is needed. 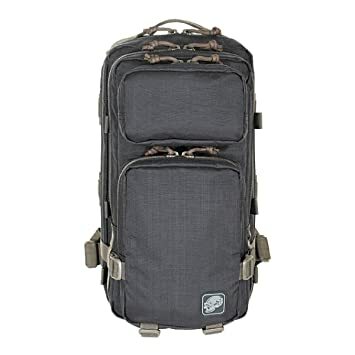 The pack has two main compartments and two large exterior pockets for stowing gear you may need to access in a hurry. It is hydration pouch compatible (bladder sold separately), and has vertical and horizontal compression straps to help hold your gear in place. It also offers an adjustable waist belt and a web carry handle on the top. The ”Deluxe 36” is designed to carry two rifles (no longer than 36″) and two hand guns. This small but mighty case also holds six 30 round rifle mags and eight pistol mags. All rifle, pistol and mag pouch compartments have locking zipper pulls with included padlocks. The adjustable, removable, padded shoulder strap makes for easy carry. 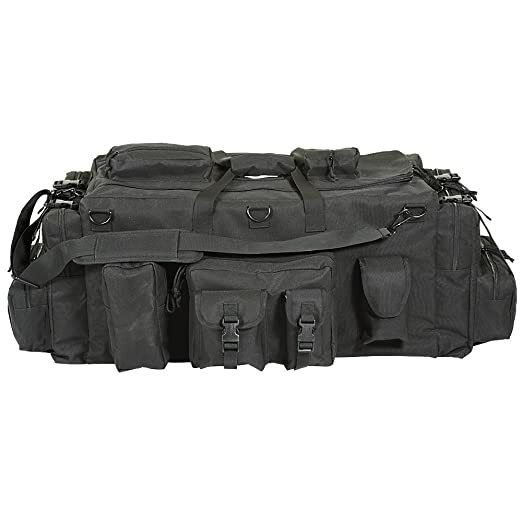 The Voodoo Tactical design team went back to the drawing board and developed this bag to hold large-bore firearms with an overall length less than 60 inches. 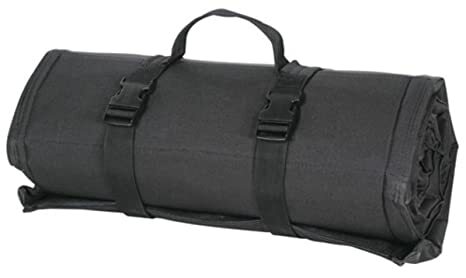 In fact, with exterior dimensions of 63″ long by 13 ” high by 8″ wide, the bag is designed to fit these weapons with a 50 or 56mm objective lens scope attached. But it is not just the size of the bag that is designed to accommodate these large rifles; the four exterior pockets are designed with these guns in mind as well. The exterior features an 18″x5″x2.5″ bipod pouch, an 18″ x 3″x 2.5″ spotting scope pouch, and two additional pouches for spare magazines, night vision gear, binoculars, or other accessories. 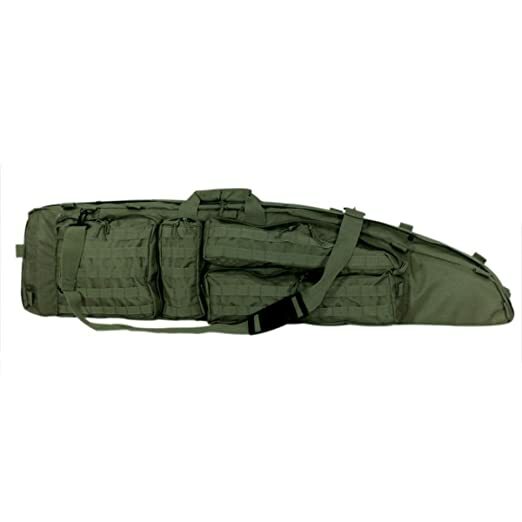 Internally, the bag features a cleaning rod pouch down its spine to hold a full-length cleaning rod, a removable pocket for break-down cleaning rods, two pistol pouches, and tie-down straps. MOLLE-compatible webbing inside and out allows you to attach other pouches and gear as you see fit.Should you wish to carry a second weapon for close quarter combat, the drag bag has a compartment for a second rifle with a padded divider between the two compartments and separate tie-down straps.The versatility of the drag bag is demonstrated by the multiple modes of carry it offers. As the name implies, you can use the drag handle or tie it to your body and drag it behind you when crawling to your position. 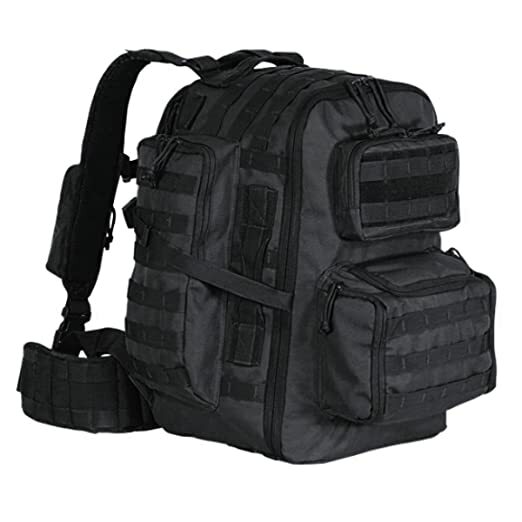 For moving in the field when stealth is not as big an issue, you can attach the included backpack straps. When a more administrative mode of carry is appropriate, the grab handle or shoulder strap is available. Voodoo Tactical has released two new colors of its popular Scorpion Range Bag, pink and purple, targeting the growing population of female shooters. The opposite of camouflage or tactical black, these bags maintain the high quality standards that shooters have come to rely on. 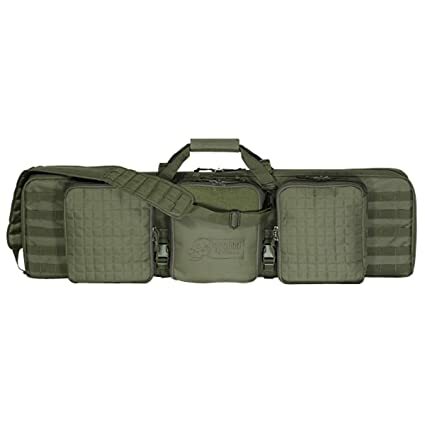 The Scorpion range bag is a sweet range bag sure to please the pickiest shooter. This medium-sized bag is well thought-out, looks terrific. 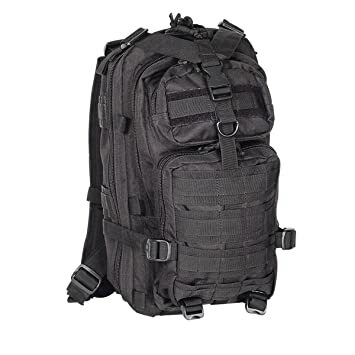 and does a great job of carrying your gear.Access to main compartment is with two full length zippers connected with a rubber handle. This allows you to open it wide enough to load boxes of ammo, earmuffs, cleaning kits and other accessories. Of course, the bag also holds two handguns (both zipper compartments have lockable zipper pulls) and has exterior pockets for other gear. It’s a nice, compact bag that is easy to use and so popular that we have a hard time keeping it in stock.Removable, adjustable, padded shoulder strap, wrap-around carry handle and textured rubber feet round out the features of this range bag. Measures 16″L x 10″W x 11″H. 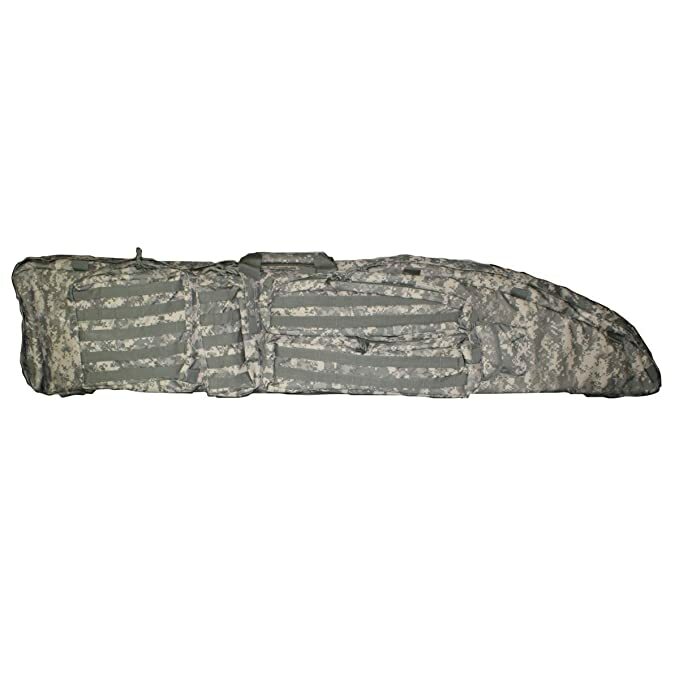 The Voodoo Tactical 0 Degree sleeping bag is an overbuilt tactical and military spec sleeping bag that will keep you warm to O Degree F with proper clothing. 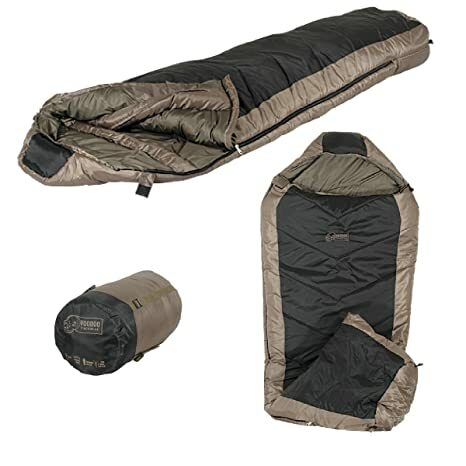 This double layer construction bag is filled with 4 pounds of hollow fill Micro-fiber Loft and has a chest baffle, zipper draft tube to keep the cold out and a n added adjustable neck and shoulder drat collar with cord-lock to trap body heat. The padded adjustable hood traps head warmth an prevents loss of body heat. The YKK #10 anti-snag, two way nylon coil zipper makes for trouble free entry and exit. Available in right or left hand zippers. Also provided an inside stash pocket for phone or flashlight. Features hang loops for drying, full barrel foot an d polyurethane coated compression stuff/storage sack. The advanced shooters mat provides padded protection with foldout elbow wings and optional use side wings. Includes a zippered sewn-in data book pocket with pen holder and several rows of MOLLE for ambidextrous use of ammo pouches with quick access. The mat has non skid material in the elbow area so it doesn’t shift and your elbows stay in place. The front protects the shooter and rifle from debris. Easy roll-up with adjustable straps with quick release buckles. Extra end “E” buckles to attach to your pack.Measures 72″ x 48″ at the widest point. Rolls up to 10″ x 20″.